A new gear system has been designed as part of the power transmission system for a electric train. This will be used to ferry passengers and their baggage from platform to platform. The gear system is shown below. What is the name of this type of gear system? 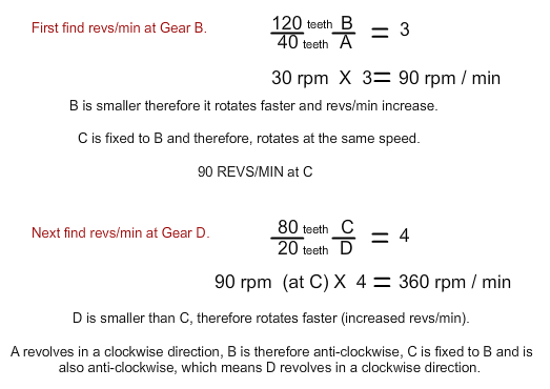 Gear A rotates in a clockwise direction at 30 revs/min. 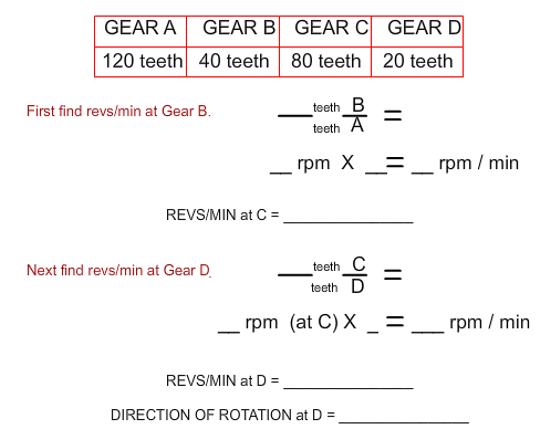 What is the output in revs/min at D and what is the direction of rotation ?